Like my oatmeal bars and coffee cake, this is one of the oldest recipes in my repertoire. 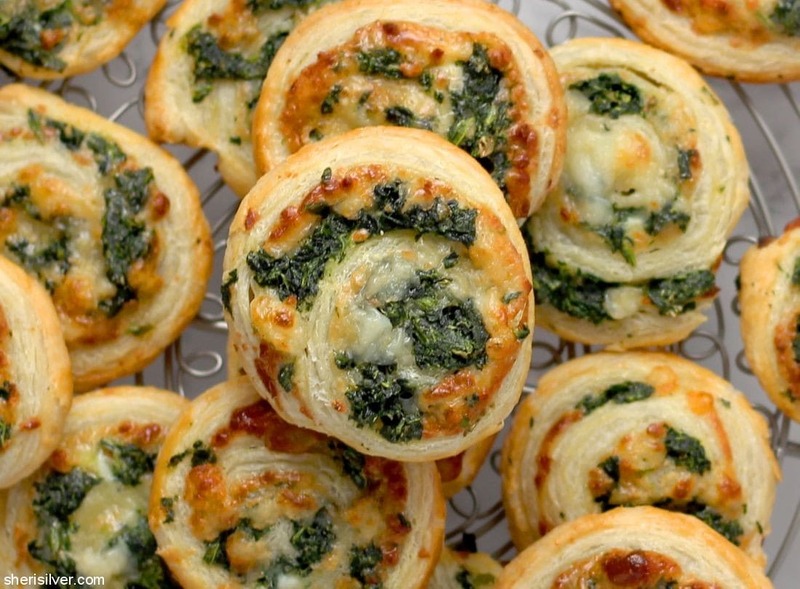 From my very first apartment many years ago, these pinwheels have been an appetizer mainstay. And for good reason. First, you can assemble in advance (keep them unbaked on the tray in the freezer, and just pop them in the oven when guests arrive). Second – SO easy. 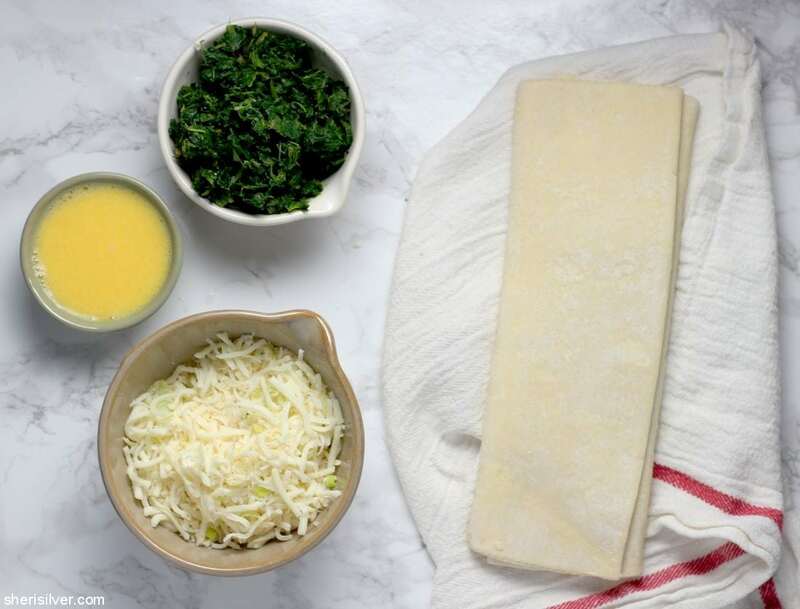 Simply mix up the filling, spread it on the pastry, roll up and slice. Third? Scales up beautifully, so perfect for a crowd. And last – but NEVER least – delicious. 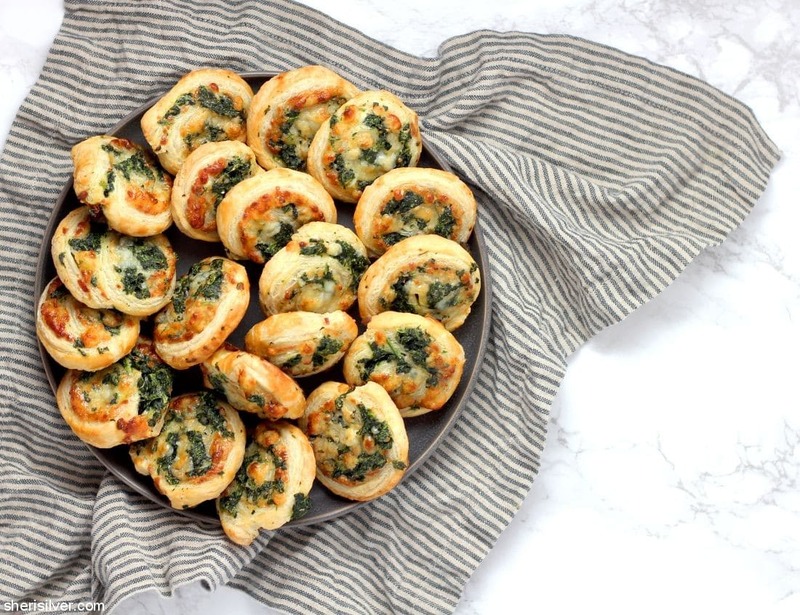 The perfect carb-y cheese-y bite, that I promise will be a huge hit for game day this Sunday – or any time you need an easy and winning snack for guests. What are you serving up this weekend? 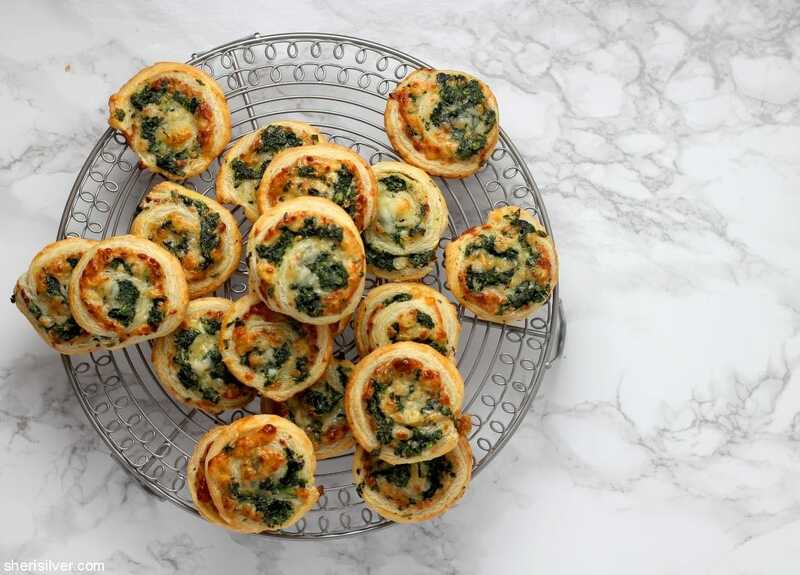 Do you have a “go-to” appetizer, that you make time and time again? Heat the oven to 400°F; line two baking sheets with parchment paper. Mix both cheeses, the scallion and garlic powder in a medium bowl. Unfold the pastry on a floured work surface; brush with some of the egg. Top with the cheese mixture, followed by the spinach. 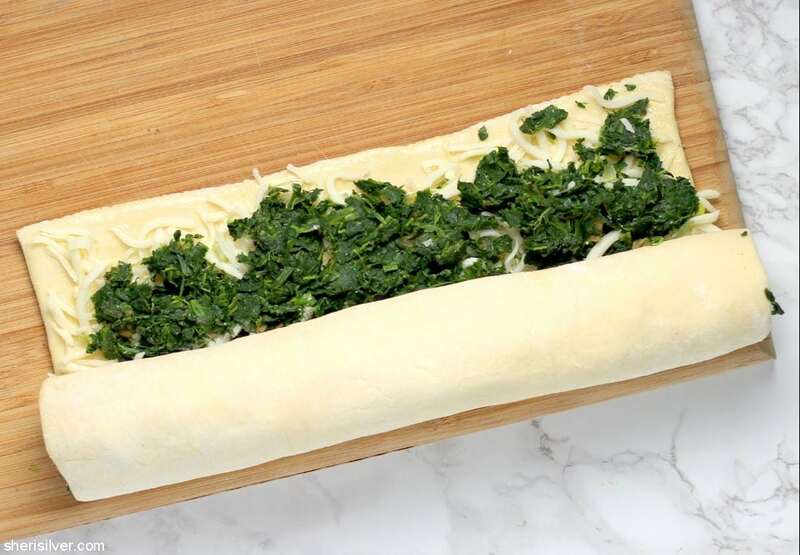 Working on one short side, roll up the pastry. 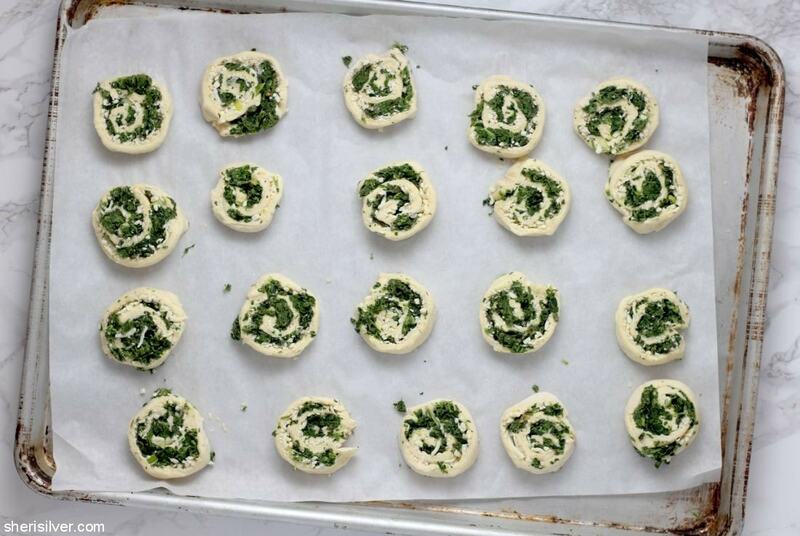 Cut into 20 slices and place, cut-side up, onto your prepared baking sheets. Brush with the remaining egg. Bake for 15 minutes, or till golden brown. Transfer to a wire rack to cool slightly before serving. Find more shortcuts and snacks on Pinterest! Awesome appetizers!! What an easy yet fancy way to get more veggies! Thanks for the recipe.